Amirkaveei, A., Saidi, A., Rezaye, A. (2009). Measurements of iron concentrate stockpile weight, from laser mapping to investigation of effective parameters on surface density. International Journal of Iron & Steel Society of Iran, 6(2), 20-23. A. Amirkaveei; A. Saidi; A. Rezaye. "Measurements of iron concentrate stockpile weight, from laser mapping to investigation of effective parameters on surface density". 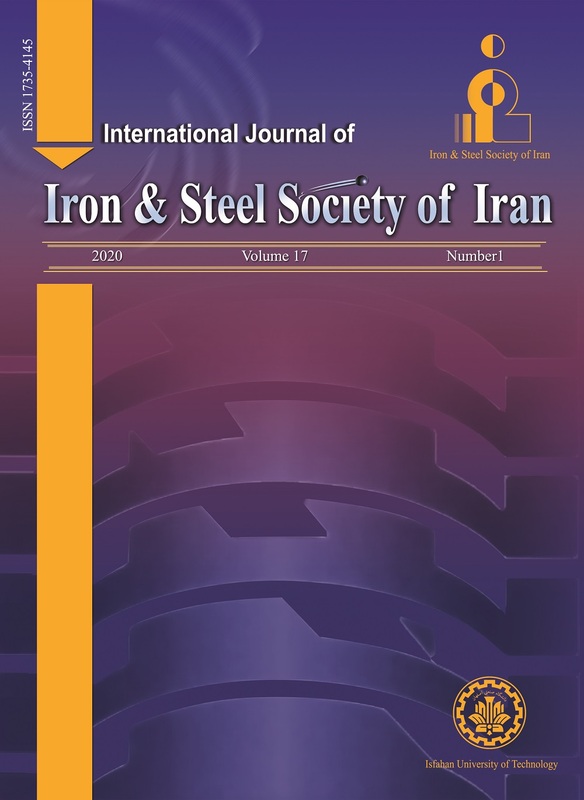 International Journal of Iron & Steel Society of Iran, 6, 2, 2009, 20-23. Amirkaveei, A., Saidi, A., Rezaye, A. (2009). 'Measurements of iron concentrate stockpile weight, from laser mapping to investigation of effective parameters on surface density', International Journal of Iron & Steel Society of Iran, 6(2), pp. 20-23. Amirkaveei, A., Saidi, A., Rezaye, A. Measurements of iron concentrate stockpile weight, from laser mapping to investigation of effective parameters on surface density. International Journal of Iron & Steel Society of Iran, 2009; 6(2): 20-23. Determination of stockpile weight and stockpile inventory are critical to any quarry or mining operation, whether it is required by accounting firms or used internally for the quarterly balance of production and sales. Generally, errors and problems originate from two factors. Volume of stockpile that is traditionally worked out from the mapping results has a low accuracy due to irregular shape of the stockpile. This factor could be corrected by laser mapping and preparation of 3D images. Using the average density for weight calculation is also another origin of the inaccuracy. To avoid this error the effect of pressure (height of the pile) on the density had to be considered. To do so, density of the surface layer of each stockpile was required. So this research mainly deals with the factors that can influence surface density. Thus, the stacker performance was modeled in the pilot plant of Mobarakeh Steel Company. The results indicated that type of the concentrate, feeding height, particle size, and moisture content are, sequenhally, the main factors that influence the density of surface layers. ASTM standard, D6172-Engl, 1998; Standard test method for determining the volume of bulk materials using contours or cross sections created by direct operator compilation using photogrammetric procedures. C. Cowherd, L. Dewitte, C. Whitaker, Method for measuring density of a bulk material in a stockpile, United States Patent 4442701, 1984. J.E. Everett: Mathematics and Computers in Simulation, 43 (1997), 563. J.Q. Xu and R.P. Zou: Powder Technology 169 (2006) 99. G.K. Robinson: Chemo metrics and Intelligent Laboratory Systems 74 (2004), 121.